I take a brief aside from the typical fare of this blog to announce the birth of my son, Titus Theophilus Brinley. 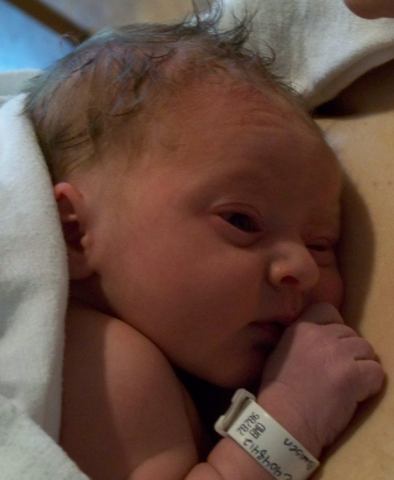 At 1:05 Sunday afternoon, Stephanie delivered a healthy, beautiful, 7 lb., 3 oz., baby boy. Welcome to the world, Titus. Say hello to all the nice people on the Internet.